Looking for a magical way to spend Christmas day with the whole family? 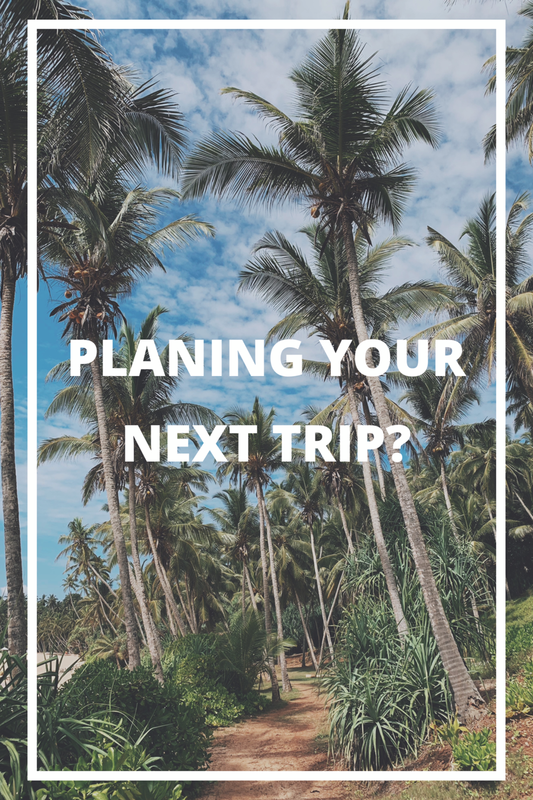 Set your sights on our favorite restaurants. From the relaxed ambiance to over-the-top and completely fabulous, we have the lowdown on the best festive brunches, meals, and deals ever to hit the city on Christmas day! A decadent Christmas dinner awaits at The Manor. 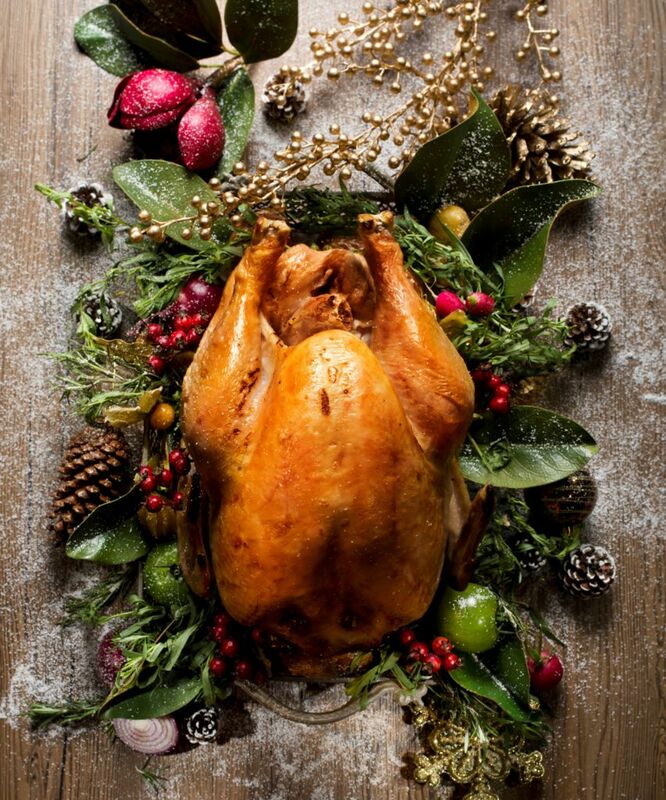 December 1 to 30, a festive meal has been creatively designed to delight all members of the family. The contemporary Portuguese menu begins with robust starters of split roasted king prawns and jamon blaquez Iberico ham, and stars the Portuguese-style roast turkey to give a Christmas classic some sparkle. Finally, a homemade Christmas pudding is served, with brandy custard and spiced apricot sorbet for a warm, sweet ending. Priced at MOP $1,600 for four persons. Don’t miss their equally delightful Festive Sunday Brunch from December 3 to 31. Break away from traditional Christmas and indulge in a fabulous feast featuring authentic royal Thai cuisine with a holiday twist only at Banyan Tree’s Saffron. 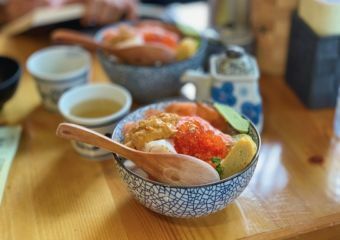 It’s the colorful kind of cuisine with vivid flavors that burst through every delicate dish. So, whether you want to stick to your favorites with the a la carte lunch or delve through the mouth-watering buffet dinner on Christmas day, there’s no way you can ever go wrong by dining with family and friends at Saffron. The Saffron buffet dinner on December 24 to 25 is priced at MOP $688 per adult or you can sample the Christmas a la carte lunch. All prices are subject to 10% service charge. 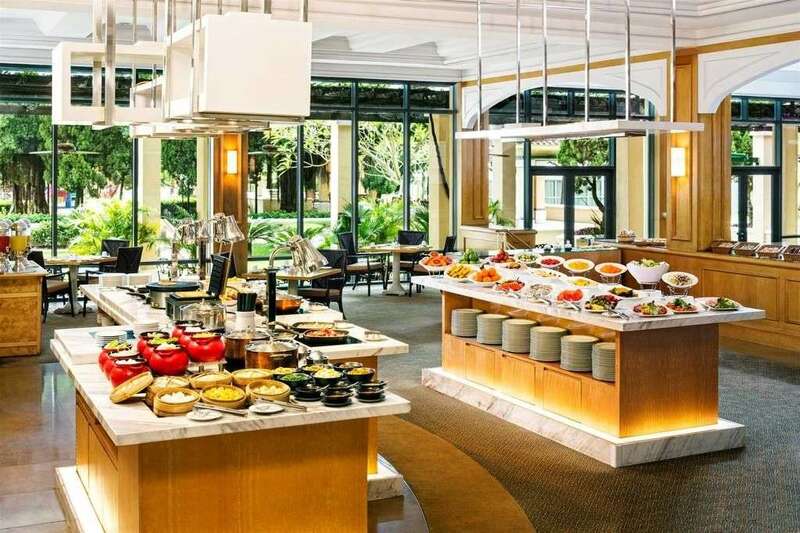 An indoor and garden setting for the festive meal, Cafe Panorama’s Christmas brunch buffet has all the yuletide cravings for both adults and kids. Discerning diners can choose from local, regional and international specialties crafted by the talented culinary team. With a bright and colorful dining space presenting gorgeous green views of the gardens, you’ll truly feel the holiday spirit with the whole family. The kids are in for a treat with the delicious dessert table. 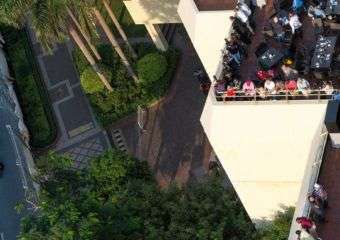 The Christmas Brunch Buffet is priced at MOP $438 per adult with free-flow soft drinks, beers and house wine while it is MOP $200 per child. 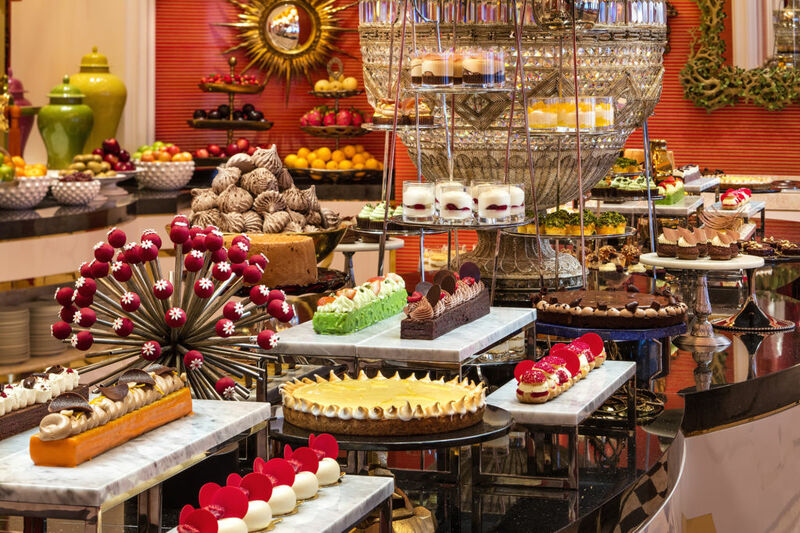 For festive French fare, head to The Ritz-Carlton Café. The stylish ambiance decked in French elegance will help set your mood for the holiday season. Bring your family and friends for a Christmas Sunday Brunch meal inspired by the delicate flavors of France. Feast in fine quality Gillardeau #2 oysters—a popular Christmas dish in France. 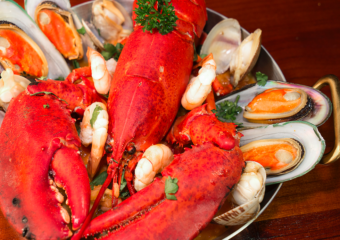 Savor a selection of fresh seafood and enjoy scrumptious roasted turkey, escargot, and free-flowing champagne. 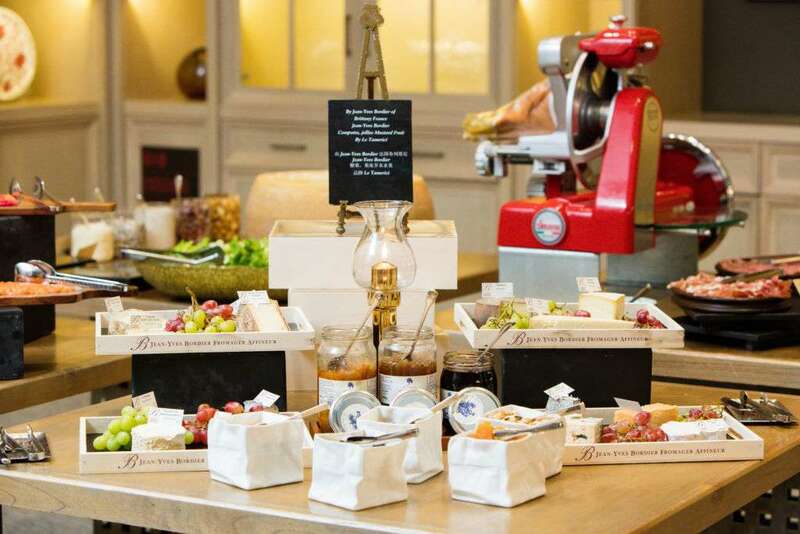 The brunch is priced at MOP $598 per person and all prices are subject to 10% service charge. 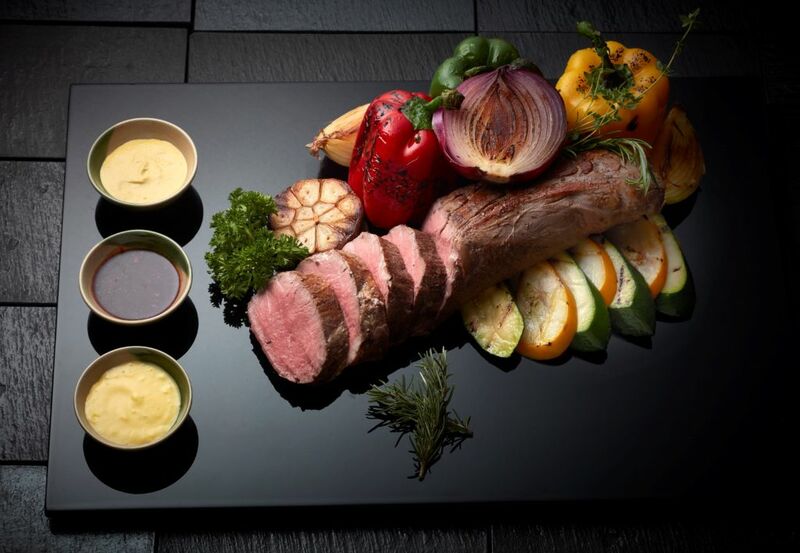 Eat, drink, and be merry at Grand Lapa’s fantastic restaurants featuring a festive selection of seasonal culinary creations. 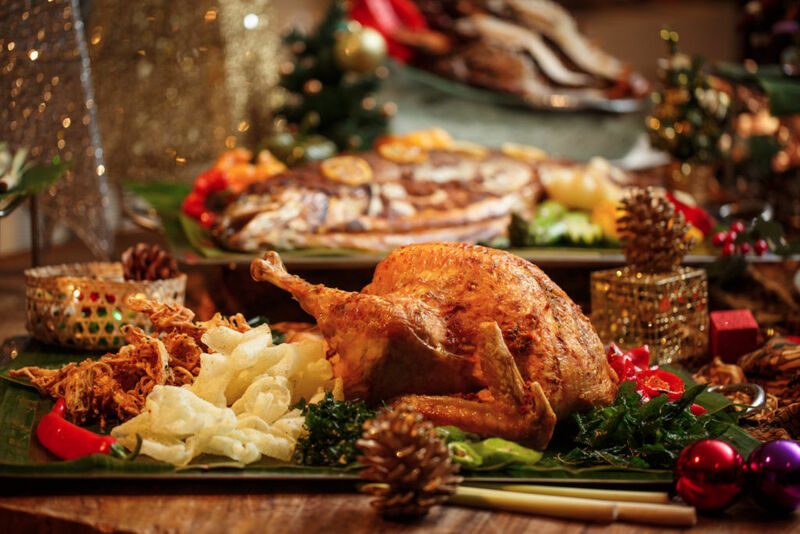 Celebrate at Café Bela Vista’s buffet most especially with the Christmas Eve or Christmas Day Seafood Dinner Buffet and get a chance to win great surprises from their lucky draw. Priced at MOP $488 per adult and MOP $249 per child (aged 6-18) with extra MOP $200 each for free-flow drinks. 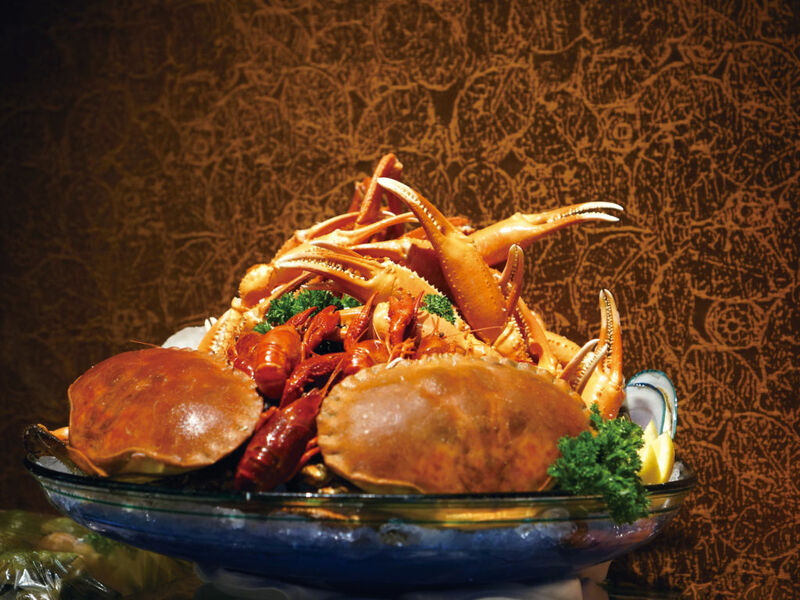 Feast at the Sheraton Grand Macao Hotel caters to everyone, even the little picky eaters. 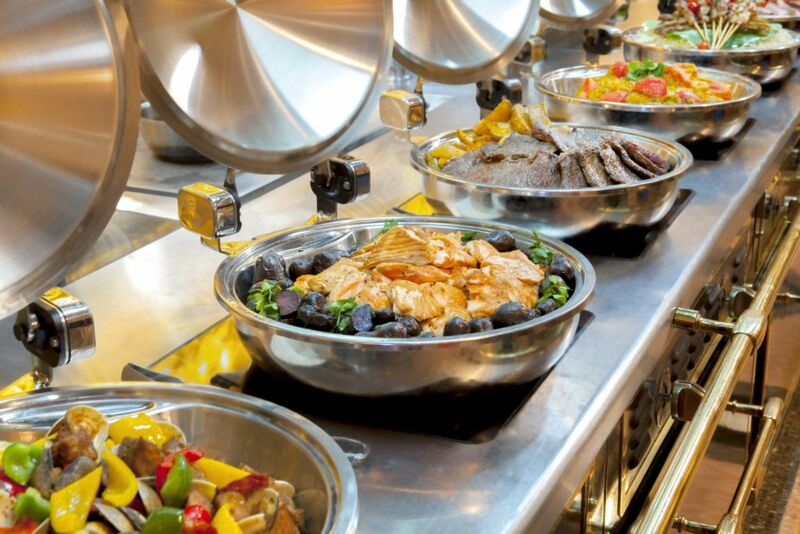 Exactly as it means, Feast offers a series of delectable buffets featuring an array of international cuisines such as Macanese, Portuguese, Thai, Chinese and more. From fresh seafood plates to Christmas cakes, puddings, and candy cane in every flavor possible, you’ll probably won’t want to leave the table. The Festive Lunch Buffet is available from December 24 to 26 and is priced at MOP $298 plus 10% service charge and the Christmas Dinner Buffet on December 24 and 25 is priced at MOP $588 plus 10% service charge. 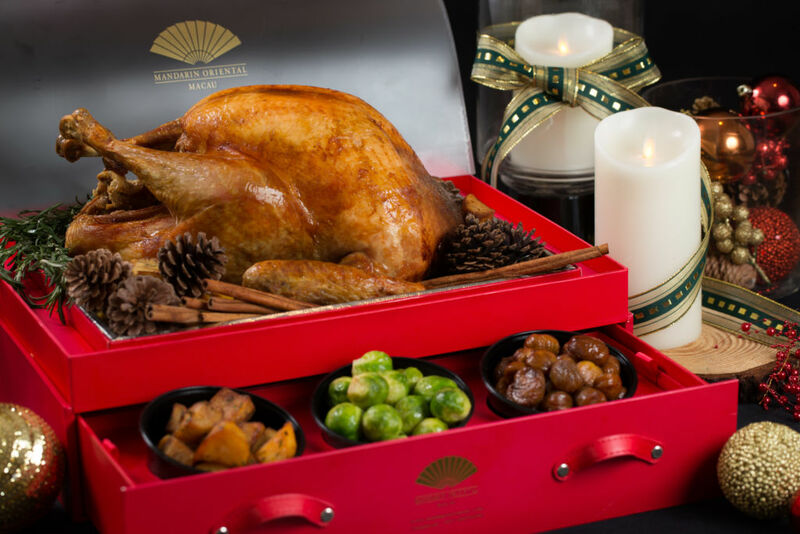 Take everyone for a Christmas celebration at the Terrace restaurant on the 6th floor of Hotel Okura Macau. 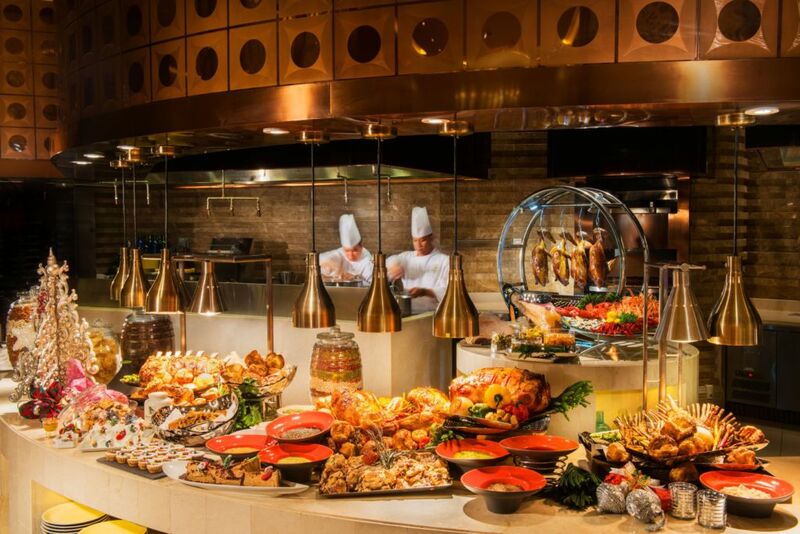 The delightful Christmas full-buffet lunch and dinner is available from December 22 to 25. 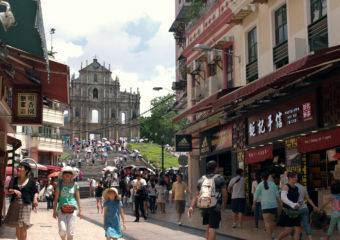 The lunch is priced at MOP $388 and the dinner is priced at MOP $588 plus 10% service charge. The newest addition to the Taipa Village dining scene is the beautiful Bella Taipa. The Italian restaurant has a beautiful ambiance combined with a festive atmosphere for an exceptional Christmas dining experience. 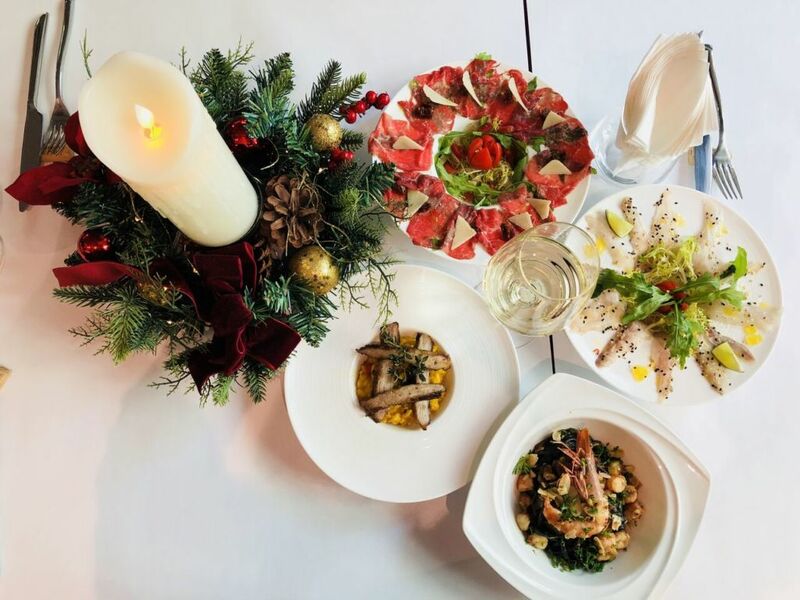 The Christmas menu has been exquisitely designed by Italian Chef Jonathan Dominguez, combining the best of seasonal produce to give a distinctive festive flavor to the special dishes. For MOP $500 per adult plus 10% service charge, indulge in a fine four-course meal with a welcoming prosecco and some homemade bread to whet your appetite on the big night. It is available from December 24 and 25 from 6:00pm to 10:30pm. One of our favorite dining destinations in Macau is the Urban Kitchen at JW Marriott. With a relaxed vibe and delightful choices of food this festive holiday season, you’ll want to book early. Mouthwatering holiday classics from around the world will be featured, including Alaskan King Crab legs, turkey with condiments, and slow-cooked prime beef. At the live cooking station, guests can witness the culinary craft of Urban Kitchen’s expert chefs as they prepare made-to-order spicy razor clams with yellow wine. Guests can choose to enjoy a free flow of wines, mulled wine, and Beringer sparkling rosé, and a full spread of Christmas desserts will round off the festive meal. Priced at either MOP $888 or MOP $788 per person with 10% service charge, the promotion is available on December 24 and 25. 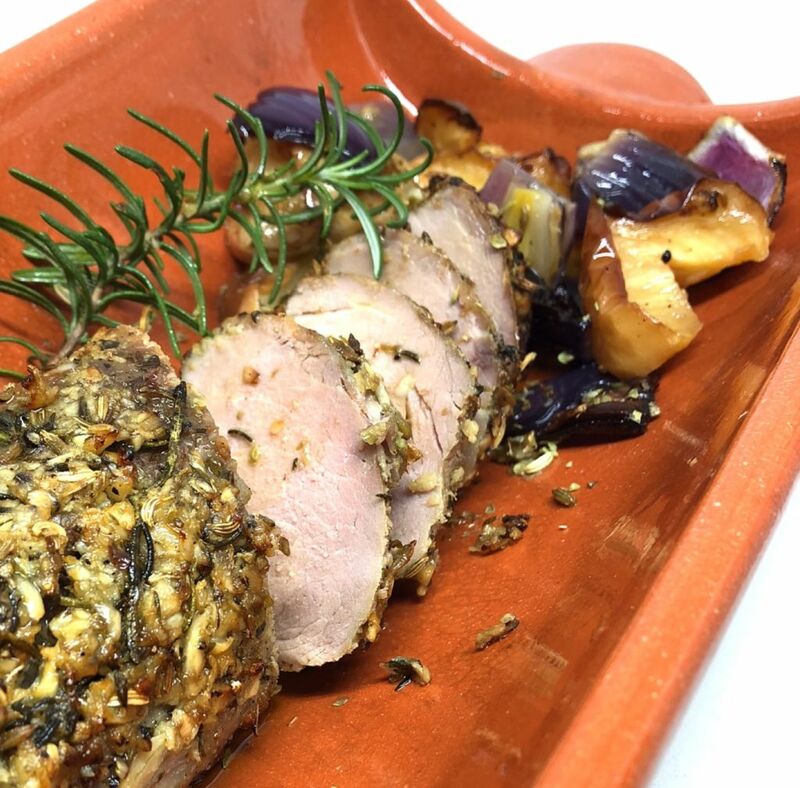 Chef Antonio Coelho and his team have created a special menu for Christmas at Tapas de Portugal. 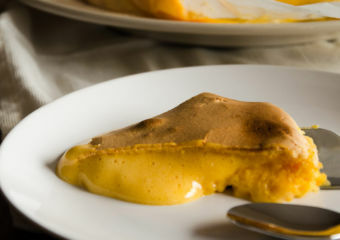 The delicate flavors of the Portuguese cuisine will remind you of a European city’s vibe at this poignant time of the year. Taking center stage on the main course is the grilled lamb chop with creamy potato puree and Brussel sprouts in red wine sauce. The delightful menu is priced at MOP $528 plus 10% service charge. Have a merry Mandarin Oriental Christmas at the sophisticated dining space of Vida Rica restaurant. 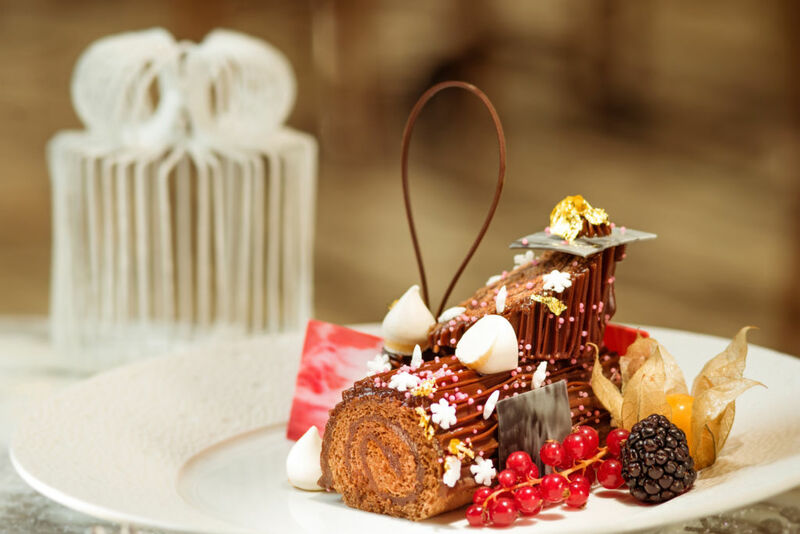 From December 23 to 25, choose to partake in either the four-course Christmas lunch priced at MOP $498 per person plus 10% service charge or the extravagant five-course Christmas dinner priced at MOP $988 per person plus 10% service charge. 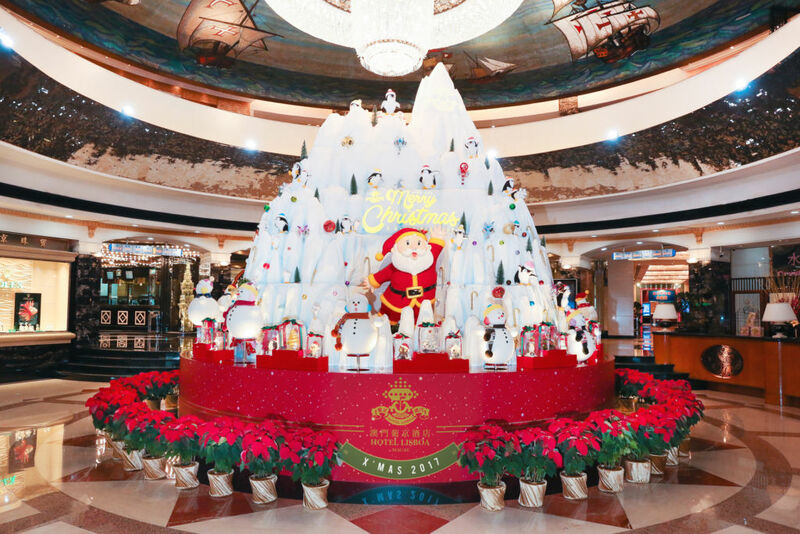 With magnificent views of Macau from the restaurant, it’s a great time to reflect on an amazing holiday season. That’s a festive treat! This Portuguese restaurant is a legend when it comes to traditional dishes that will warm your heart and belly. 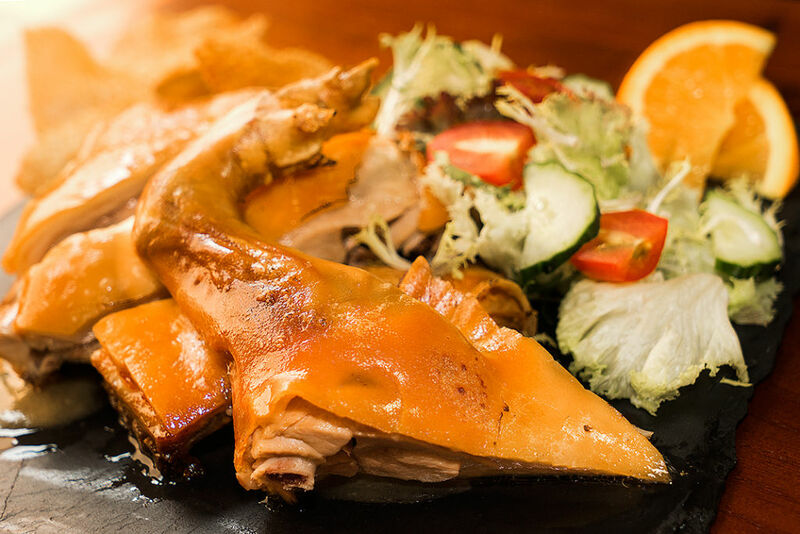 With an exciting Christmas menu that features among other dishes the delightful octopus salad and roasted black pork tenderloin, you’ll be sure to have a happy holiday. The special menu is priced at MOP $488 per person plus 10% service charge. A grand dining experience at Fontana Buffet overlooking the Performance Lake at Wynn Palace, it’s definitely an evening to remember. From outstanding seafood and meat to mouth-watering chocolates or specially sourced seasonal dishes, this bountiful collection satisfies your taste buds. 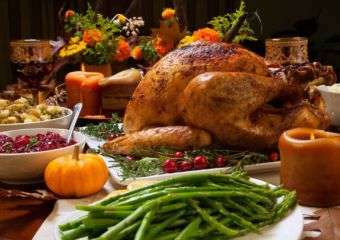 The Festive Dinner Buffet is available on December 24 or 25 at the price of MOP $699 per person plus 10% service charge. 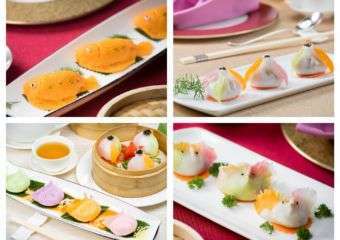 The chic Chinese restaurant at Hotel Lisboa is stepping up its game this festive season with a “Christmas Eve Buffet Dinner” on December 24, 2017. Making sure their savory signature dishes such as Sashimi, Seafood on Ice – Boston Lobster, Oysters and Snow Crab Leg, Western Soup, Roasted Turkey, Carving, a variety of signature hot selections such as Stewed Seafood with Lobster Sauce, Deep-fried Shredded Chicken with Pomelo and various festive desserts are available for guests to enjoy. Diners are in for a treat as they will receive a complimentary Christmas Penguin and stand a chance to win Gift Voucher valued at MOP $500 from the Lucky Draw. The 20% off cash discounted price per adult is MOP $528 and child or senior citizen is MOP $422. Noite e Dia Café is prominent when it comes to buffets. Highlighting a variety of international delicacies including Thai, Japanese, seafood and sashimi, signature Asia hot dishes, Cantonese barbecue, a dim sum as well as Italian pasta, it’s the place to be for celebrations with a cozy atmosphere. 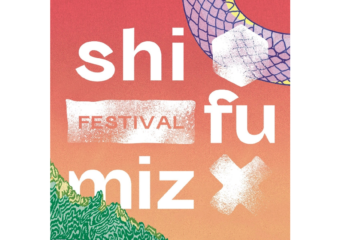 From December 24 to 26 2017, an exquisite array of cuisines especially for guests are available including Sashimi, Seafood on ice – Chile Oysters, Snow Crab Leg, Cooked Whole Crab and Blue Mussel, variety of a la minute Dim Sum and Chinese BBQ, a complimentary set of “Steamed Assorted Seafood and Meats in Chinese Casserole”, Spain Iberico Pork on Mineral Salt Board, Robatayaki, Tempura, Carving station, Stewed Seafood with Lobster Sauce, Black Truffle Risotto with seafood and variety of Christmas desserts. The price per adult is MOP $390 and child or senior citizen is MOP $312. A 10% service charge is applicable to all guests.